It’s that time of year again. Tis’ the season to pack up the dogi and hakama and head to Summer Camp! It’s also the season to donate a prize to the Summer Camp Scholarship Raffle! The Scholarship Raffle is a fun Camp activity that showcases the generosity and talent our aikidoka have off the mat. More importantly, the proceeds from the Raffle fund scholarships allow us to bring Camp within reach of aikidoka who otherwise couldn’t afford to attend. No prize is too small and it’s never too late to donate. Examples of current and past prizes include; jewelry, skin care products, gi bags, weapons, free attendance at seminars, wine, artwork and massage therapy. The donation process is simple. To make a donation, visit the Camp section of the USAF website and click the “donate” link for the instructions and form. Any questions you have about donating a prize can be directed to Shawn Dansby at smdansby2@gmail.com. So, while you are making that to do list before Camp, please consider adding a raffle donation. The Summer Camp Scholarships are not possible without your help! Thank you to those of you who have registered to attend Summer Camp 2011! You can now access the tentative schedule on our website, www.usaikifed.com. As you may know, registration for full week or half week attendance is now closed, but day participants are encouraged to register online up to the day they arrive to help avoid lines and create a smooth process. However, we are still receiving inquiries from people who have not yet registered but would like to attend camp and stay at the hotel. At this time, we have someone looking to stay for the first half week and one for the full week. We are unable to accommodate them since there are no more rooms available at the hotel. If you would like to reduce your cost by adding a roommate, please let us know. We will keep your name on a list in case we are contacted by someone looking to attend. in addition to the breakfast and dinner served with the camp package, there is a bar/grill where you can buy lunch, sandwiches are sold pool-side, and a $12 all-you-can-eat buffet lunch will be available daily. Thank you, and we look forward to seeing you in 2 weeks! The schedule for summer camp is now available. Click here to view the schedule effective 7/8/2011. Please remember that the schedule is tentative and subject to change. Registration for Summer Camp 2011 will close on Sunday, July 10th. This does NOT include day registrations. Please pass this information along to anyone you know who is interested in attending camp. We look forward to having another fabulous week and thank you for your assistance! 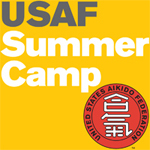 Stay tuned to the USAF Summer Camp FB page for further announcements.